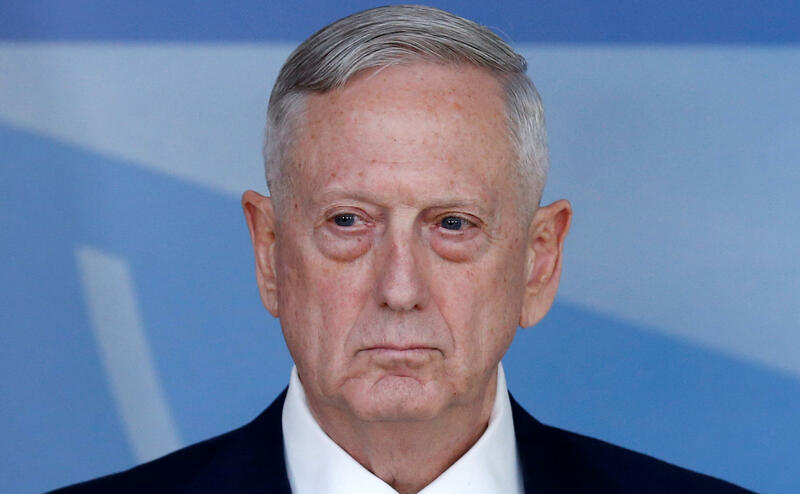 Mattis says U.S. war with North Korea would be "catastrophic"
Defense Secretary Jim Mattis on Thursday became the second cabinet official to tone down President Trump's call of "fire and fury" against North Korea, saying the current U.S. approach to that nation's threats is a "diplomatic" one. Mr. Trump earlier this week said North Korean aggression will lead to "fire and fury" of a kind the world hasn't seen before, and -- after receiving criticism that those words could provoke nuclear war -- doubled down on them Thursday, saying, "maybe that statement wasn't tough enough." Secretary of State Rex Tillerson also took a calmer stance on North Korea earlier this week after Mr. Trump's initial "fire and fury" comments, saying Americans shouldn't be unsettled by recent rhetoric about the crisis. "My portfolio, my mission, my responsibility is to have military options if you need it," Mattis told reporters at a Defense Innovation Unit Experimental (DIUx) event in Mountain View, California, in his first remarks since North Korea threatened to launch missiles near Guam. "However, right now, Secretary Tillerson, Ambassador (Nikki) Haley, you can see the American effort is diplomatically led, it has diplomatic traction, it is gaining diplomatic results. And I want to stay right there right now. The tragedy of war is well enough known. It does not need another characterization beyond the fact that it would be catastrophic." Mattis has called the possibility of war with North Korea "catastrophic" in the past, on CBS News' "Face the Nation." On Thursday, Mattis went on to say the Trump administration is "prioritizing the threat" but also looking at "how to deal with it in a diplomatically effective manner." Despite the different tone Tillerson and others have taken on North Korea, Mr. Trump said Thursday there is no confusion in views in his administration. "There are no mixed messages" on North Korea, the president told reporters from his golf club in Bedminster, New Jersey.